Co-immunoprecipitation (Co-IP) is one of the most commonly used methods for determining protein-protein interactions. It relies on the ability of an antibody to stably and specifically bind complexes containing a bait protein. The antibody provides a means of immobilizing these complexes on a solid matrix. In this way, it is possible to detect the unknown members of proteins or ligands that are bound to the specific protein in natural condition. Creative Diagnostics can perform your Co-IP experiments using the latest rapid liquid-phase reaction kinetics and magnetic (or resin) separation, which insure proper antibody orientation for optimal antigen binding with patented surface chemistry and save on antibody usage. 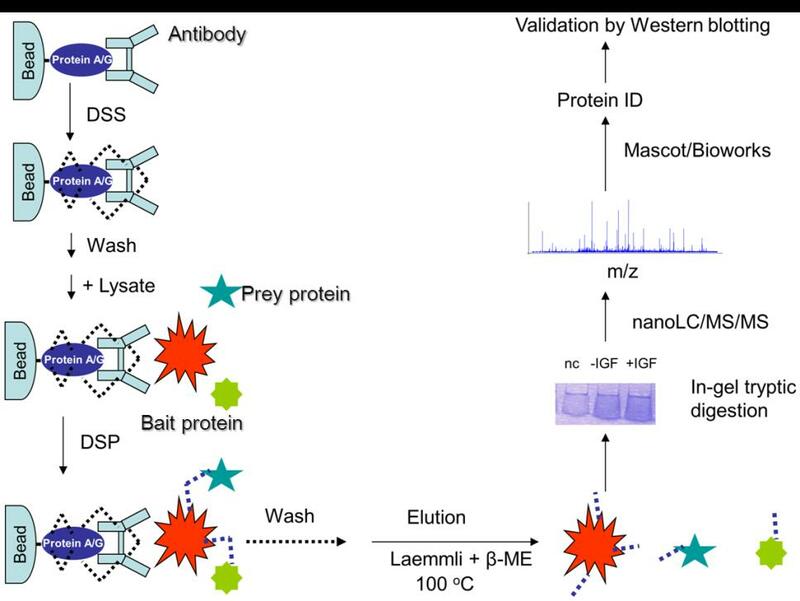 The presence of target proteins in the bait complexes could be determined by leading protein / proteomics methods. Because of the biochemical diversity of protein-protein interactions, it is not possible to describe a single set of conditions that will work for every immunoprecipitation experiment. Instead, our scientists can provide both practical starting conditions and potential modifications to the procedure so that best conditions for your Co-immunoprecipitations are optimized. Welcome to discuss your Co-immunoprecipitations experiment with our expert team. We will help you to develop the optimal Co-immunoprecipitations procedure to reach the best results.